Ohio Secretary of State Jon Husted’s office has identified 82 non-U.S. citizens who have illegally voted in recent Ohio elections. Husted made the announcement Monday after his office said it identified 385 non-citizens registered to vote in the state during a recent examination of voter rolls. Of those 385 non-citizens registered to vote, 37 live in the Tri-State, according to Husted’s office. Only 16 have cast a ballot in an election. Husted’s office previously reviewed Ohio’s Statewide Registered Voter Database in 2013 and 2015. 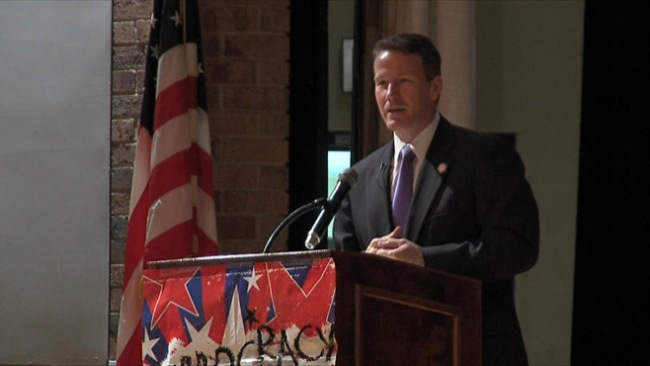 Including the latest tally, Husted said his office has identified 821 non-U.S. citizens on the state’s voter rolls in the last four years – 126 of which have managed to cast at least one ballot. In a news release Monday, Husted’s office did not make it clear which election the latest 82 non-citizens had voted in. Even if each had voted in the 2016 presidential election, their ballots would have amounted to about 0.00006 percent of the nation’s total vote count. Husted said his office’s investigation into the state’s voter database was important due to the national conversation over potential “illegal votes” led by President Donald Trump. Trump has repeatedly claimed, without evidence, that widespread fraud in the 2016 election led to “millions” of fraudulent votes, causing Hillary Clinton to win the popular vote. Husted’s latest non-citizen voter tally in Ohio does not support those claims. Husted’s office said the 82 non-citizens that are registered to vote and have cast ballots will be immediately referred to law enforcement for further investigation and possible prosecution. The state will send letters to the 303 registered voters identified as non-citizens who have not cast a ballot. The letters will inform them that non-citizens are not eligible to vote. It will also request they cancel their registration, according to Husted’s office. The state will send a follow-up letter to anyone who remains on the voter rolls after 30 days. Any non-citizens identified that remain on the rolls after being contacted twice will then be referred to law enforcement, Husted’s office said. State officials said they are able to identify non-citizens on voter rolls using information provided by the Ohio Bureau of Motor Vehicles as applicants are required to provide documentation of their legal presence with their application for a state identification or drivers’ license. The Secretary of State’s Office identified the non-citizens by the using a double confirmation process, which requires a registered voter to have provided documentation to the BMV themselves indicating they are a non-U.S. Citizen two times before being flagged, Husted’s office said. Husted’s office said no case where a non-citizen is shown to have cast a ballot happened in jurisdictions where an election was decided by one vote or tied.